I love getting new sample wedding albums in! 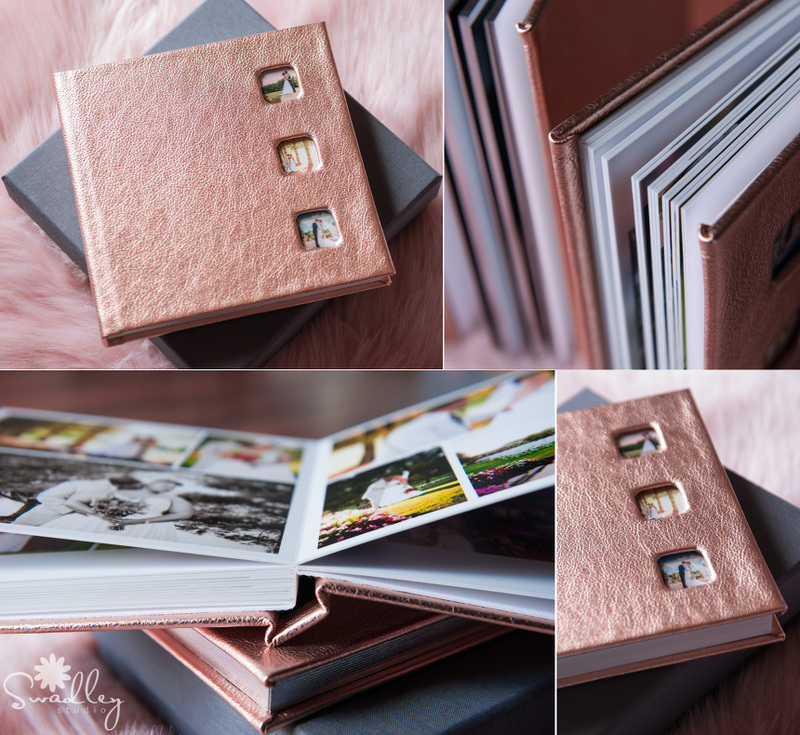 This new Rose Gold is part of the new Metallic Leather options that you can choose for either a wedding or a boudoir album. I chose to put 3 different weddings from Bowling Green County Club to showcase the different options that couples can choose when booking this awesome wedding venue. This is an iPhone video, so excuse the low quality video, but check out the photographs below the video to see the gorgeous color and a sample boudoir album with silver gilded edges. LOVE!!!! I also made a boudoir album sample to show off for our Beau Boudoir brides. I chose to add the silver gilded edges to this album to finish off the metallic look. You can see the difference in the edges in the photos at the bottom.